Beautiful, smart and innovative reflects Sanitrax. This applies not only to our products, but also to the support we provide to customers and end users. The new and especially useful Sanitrax app is a great example. Innovative, user-friendly and above all a practical help for companies and employees responsible for selling, planning and monitoring the Sanitrax units. The app allows you to design toilet groups quickly. The top view gives a useful overview of the final situation. 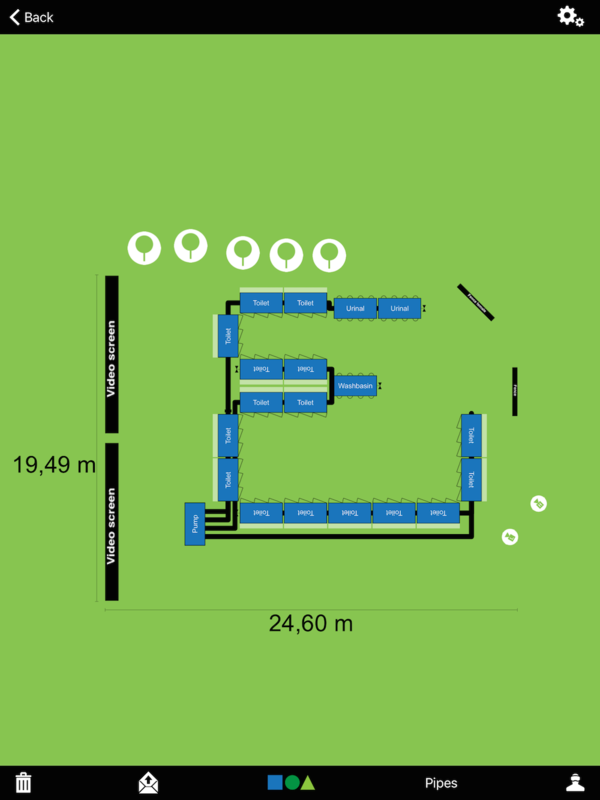 Providing a print of the desired situation to the driver ensures fast construction on location. 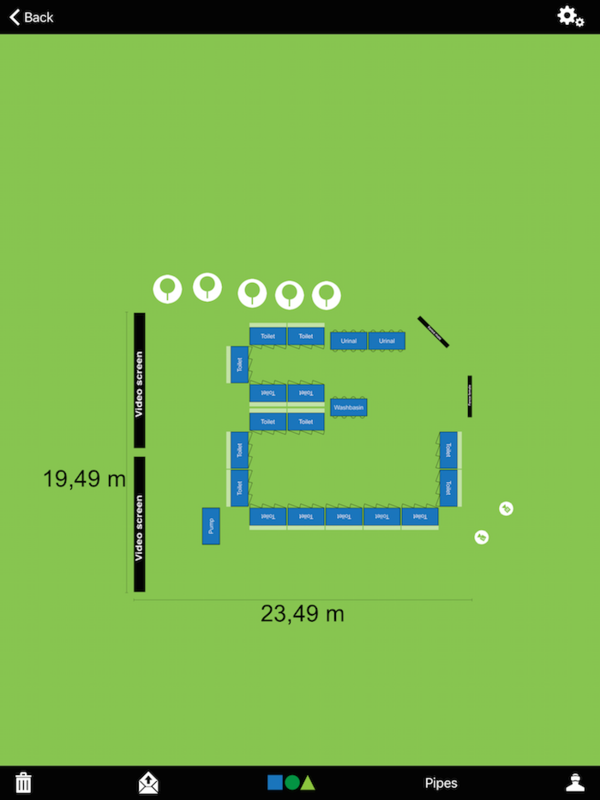 In addition, the map can be exported and made available to the organization digitally. 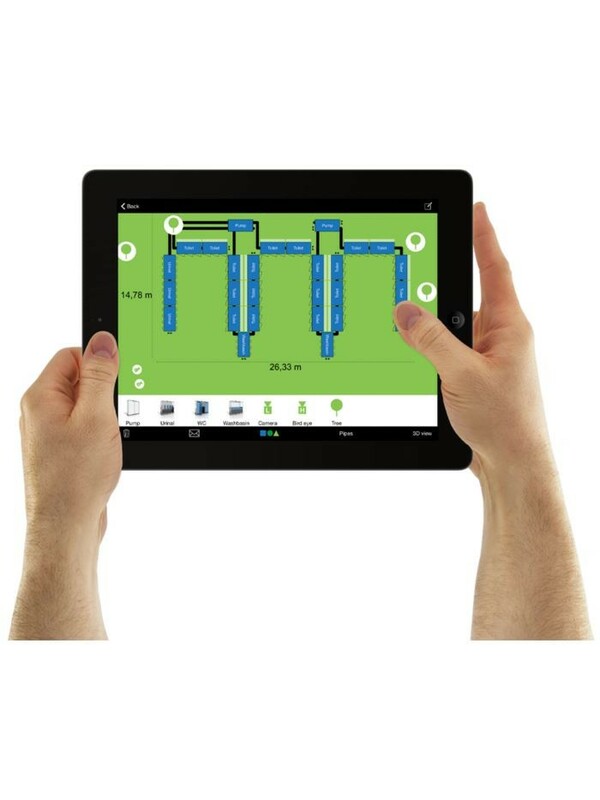 In addition, when designing the toilet groups, the app provides advice on connecting the pipes to the pump and technical unit. This assistance is very valuable when installing the units on-site. If the units are installed, the app holds another great advantage. Via your ipad or mobile phone, you can keep an eye on the performance of the system, vacuum pumps, water consumption and water pressure. This allows a huge cost savings to be realized in management. Our engineers can login to your connected system to offer realtime assistance when needed! Our remote services are continuously furtner developed and become available to our partners directly! The last major advantage of the app is especially ideal during the sales phase. 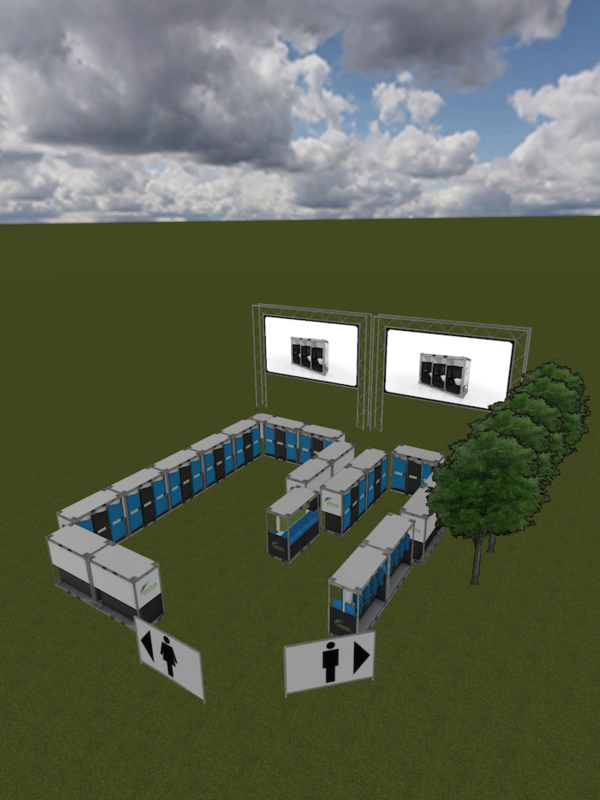 As a rental company, you can quickly show a 3D view to the end users and walk through it virtually. This gives an optimal idea of ​​the intended solution being discussed. The app is available in the iTunes App Store for use on your iPad and / or iPhone. 24/7 connect to your system through this link to monitor the performance.